﻿ Software Application Development - Orange County Computer, Inc.
Software Applications are only as good as the platforms they are designed to work on. The ever changing Operating Systems and increased mobile devices place a new demand on how Software Applications are designed. 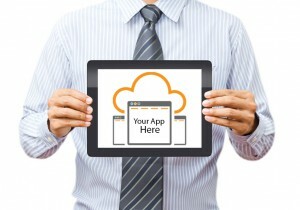 Are you running a mission critical business app in Access or an ACT Database? Orange County Computer's Cloud Division, OC Cloud 9 can help! Our Software Application Development team can build a custom application for your business's needs. The use of Cloud Solutions has created a growing demand for business critical proprietary applications to be virtualized. Hence companies can move ahead and not be held captive by their business applications. Technology continues to evolve and improve upon itself. However unfortunately proprietary business application vendors are the most hesitant to revision and compliance changes. Our team encounters this on a daily/weekly basis. Companies invest anywhere from $5,000 to $100,000 in business application vendors to run important daily business functions. It can be very frustrating when a company which you have invested anywhere from $5K-$100K is holding your company hostage from a major required or mission critical technology infrastructure upgrade. We can help. We always embrace challenging software vendors that tell us that their app isn't compliant with a specific server platform or that the client has to find a different way to manage their security/compliance issues. The task of building a new software application can be overwhelming to clients. Our goal at Orange County Computer is to make this process as seamless as possible. Change can be tough but the end result, working with a custom designed business application from our Software Application Development team is well worth it. We encounter clients that have been held hostage by an application developer because they may try to complicate the actual development process themselves. More than often, this is a result of the developer not sure how to finalize the application itself. Our team of experts can design or upgrade apps built on front end platforms such as: Android, iOS, Mac, Blackberry. Backend programming languages can be Microsoft SQL, MySQL and PSQL. The possibilities are limitless with custom software application development. Take that step today and give us a call at 949-699-6619. Don't let your old software programs keep your company in the IT Dark Ages.